An experienced, efficient and highly motivated team of plumbers, carpenters, electricians, gas safe engineer and builders. Our electrician is an NICEIC Approved Contractor, our gas engineer is Gas Safe registered and our window contractor is approved by FENSA. Hampshire Property Maintenance have been established since 2002. We specialise in carrying out all types of property maintenance services from reactive emergency call-outs to complete or partial refurbishments of kitchens, bathrooms, wet rooms, disabled adaptations and building works for domestic & commercial properties including hospitals, schools, Ministry of Defence bases and warden assisted homes. In October of 2016 we moved from a shop, based in Palmyra Road, to an industrial unit on the Aerodrome Road estate in Gosport. 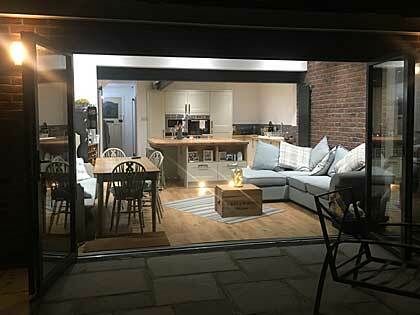 Our aim is to give our upmost to achieve a professional and friendly service and endeavour to keep our customers and clients happy with the works we carry out either reactive or planned. 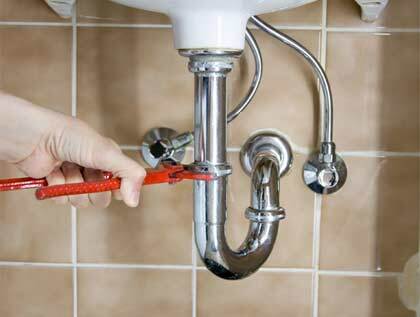 We provide a full property maintenance service for both commercial and residential properties. All of our works are fully insured and are carried out in accordance with the highest Health and Safety regulations. Hampshire Property Maintenance transformed a dismal office we had just bought into a fabulous modern office. They worked with our ever changing requirements - without complaint! We would not hesitate to recommend their workmanship. Well done Hampshire Property Maintenance. We are proud to be members of Checkatrade, NICEIC and CHAS. We offer a comprehensive building service which includes all types of external building work and maintenance and repairs. 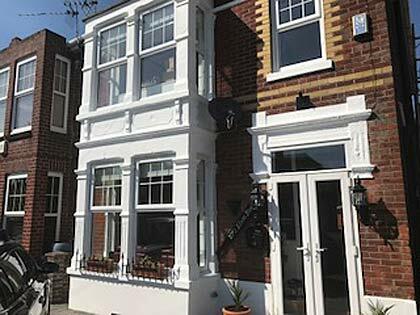 We're experienced in block paving, brickwork, building alterations, building conversions, roof repairs, storm damage, tiling, wall building, waterproofing and much more. We provide gas and electrical work - gas safety services, gas appliance installations and gas engineering. We're NICEIC approved and carry out all electrical works from heating installations to inspections, lighting, kitchen appliances to full domestic and commercial rewires. 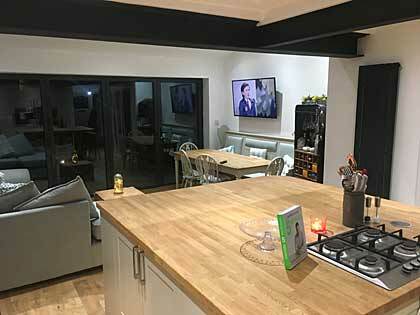 We're experts at kitchen planning and installation and all the associated trades that accompany such projects - including carpentry, painting and decorating. We're also 24 hour Plumbers repairing blocked drains, blocked sinks, blocked toilets, stemming overflows, plumbing surveys, Saniflo, solar water heating and water leaks. Bathroom designs and installations are provided - and no job is too small. Here's more detailed information about our property services.